A fifteen-year-old freshman, Shelly leads a unique life. Her brother Ian goes to an all Deaf school called Hawthorne that's two hours away. He only comes home on the weekends, and those weekends are filled with pointless arguments and agitations. Hawthorne may be closing soon, leaving Ian on edge. But as Shelly and Ian start to become close again, Shelly realizes why the school is so important to Ian. It's a place where he can be himself, and be with other people who understand him. 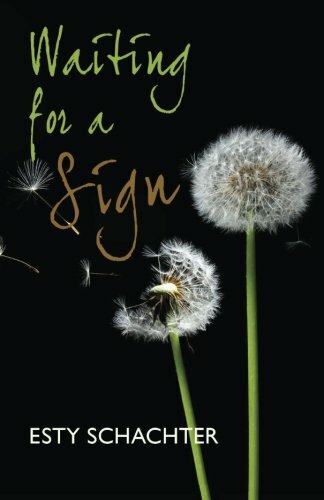 Offering a unique insight into deaf culture, Waiting for a Sign is funny, relatable, and unpredictable. I enjoyed every page of Waiting for a Sign. Not only was I fascinated with the endless things I learned about deaf culture, but I also found Shelly to be a very entertaining character. She was wonderfully normal, and I saw a lot of myself in her with her. I related to her trivial struggles in things like cute boys at school as well as the deeper issues of grief and loss. I would highly recommend this book to anyone looking for a sweet, honest story of family, bravery, and triumph. The book doesn't have any offensive content. It's completely clean.